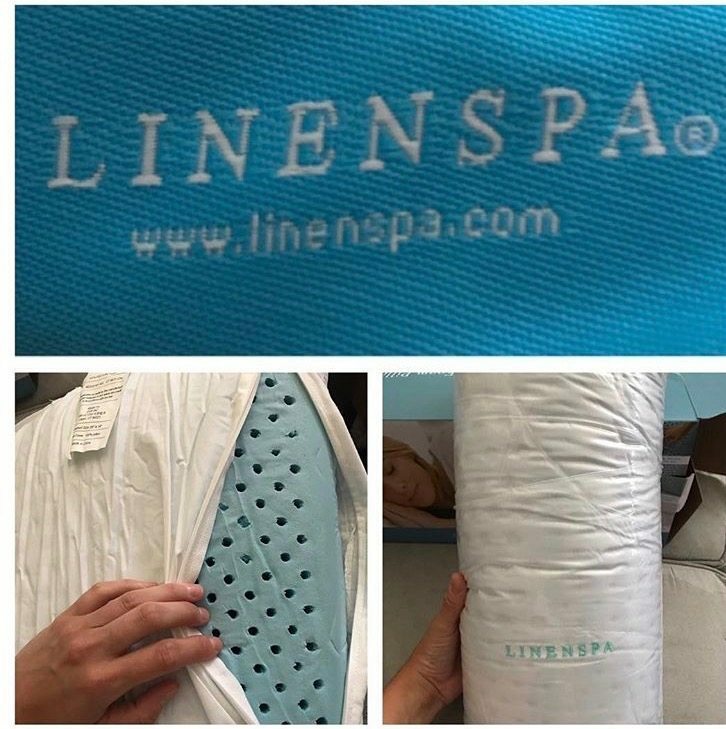 Linenspa recently sent over their Dual Zone Gel Memory Foam Pillow to be reviewed by the MattressJunkie.com team. The pillow retails for $27.99 and is a great value compared to many similar, much more expensive pillows on the market. Linenspa has an array of sleep products from mattresses, mattress protectors, pillows, bedding, mattress toppers, bed frames, and pet beds. All of Linenspa’s products are very reasonably priced and extremely high quality from my own personal experience of testing. 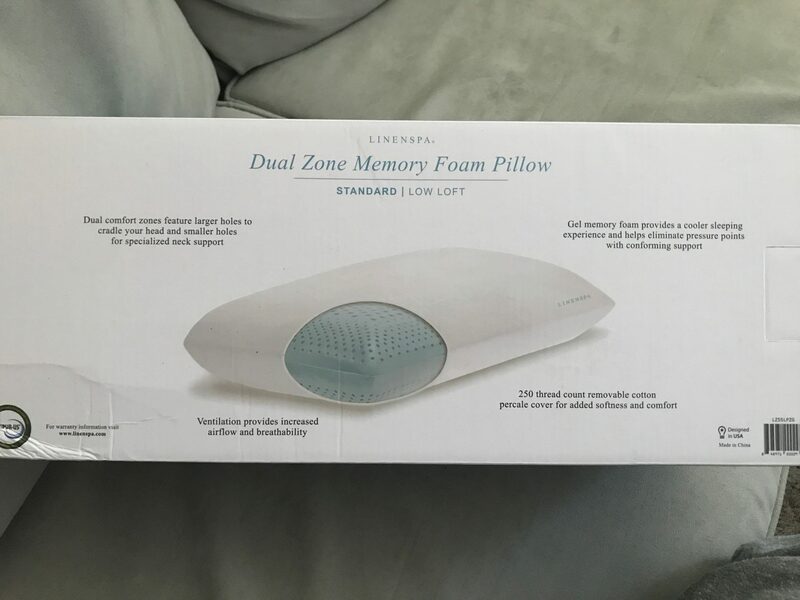 Check out more on the Linenspa Dual Zone Gel Memory Foam Pillow below. What sleep position is best for the Linenspa Dual Zone Gel Memory Foam Pillow? 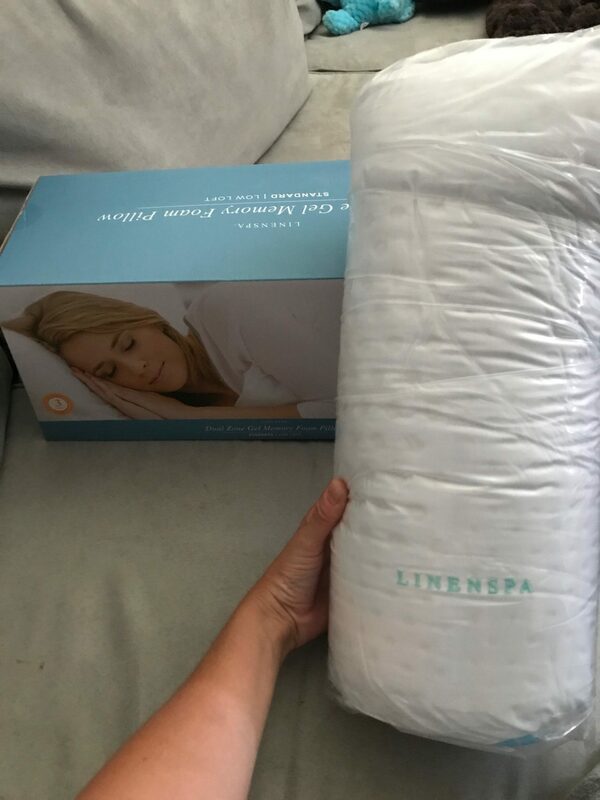 We slept on our back and side and thought the Linenspa Dual Zone Gel Memory Foam Pillow performed great in both positions. 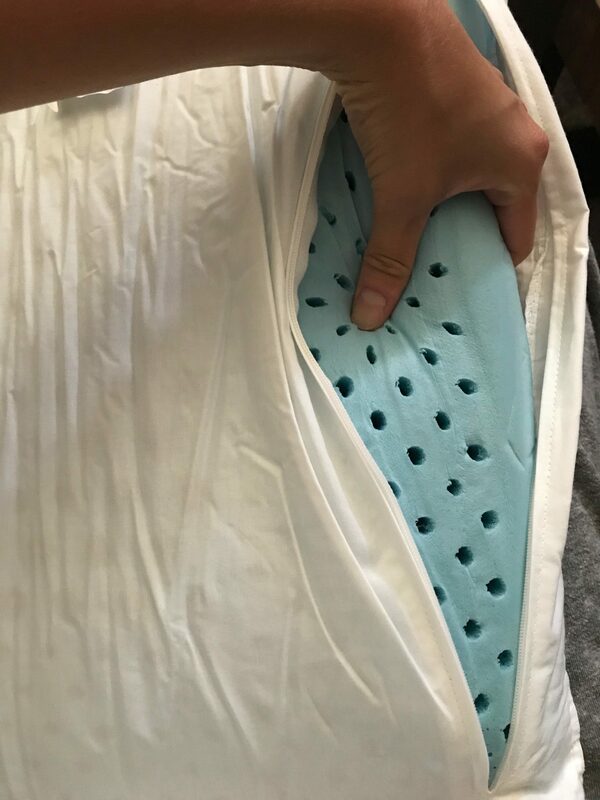 The pillow breathes very well throughout the night whether you are on your back or side so you never have to worry about heat building up and waking up hot. 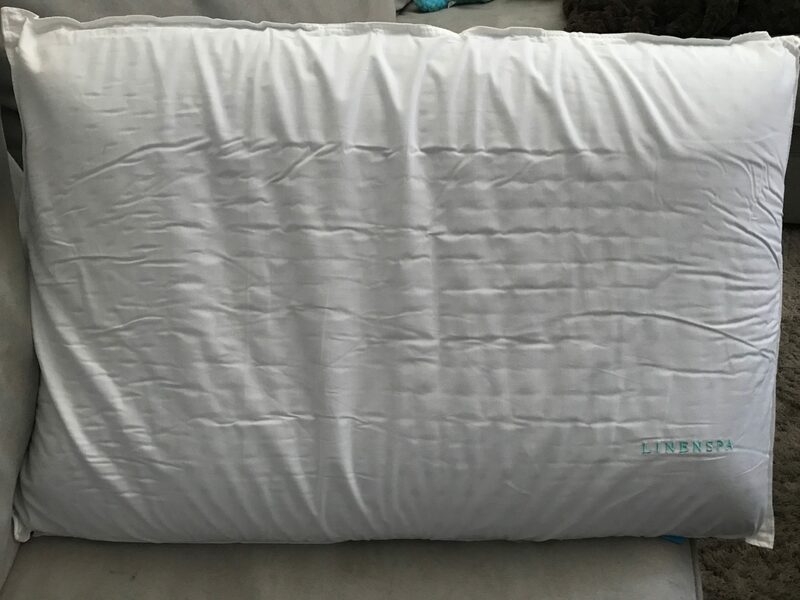 What’s the Linenspa Dual Zone Gel Memory Foam Pillow cover made of? The cover has a 250 thread count, easily can be removed, and is made of 100% cotton. What’s Linenspa Dual Zone Gel Memory Foam Pillow made of? Linenspa Dual Zone Gel Memory Foam Pillow is 100% polyurethane gel foam. This gives the sleeper the conforming comfort of memory foam with gel infused for a cooler sleep throughout the night. Dual zone spinal support helps align and support your neck. The pillow has large holes toward the center to help cradle your head and smaller holes around the perimeter to align and support your neck. How much does the Linenspa Dual Zone Gel Memory Foam Pillow cost? The Linenspa Dual Zone Gel Memory Foam Pillow costs $27.99. Linenspa has all their sleep products reasonably priced. 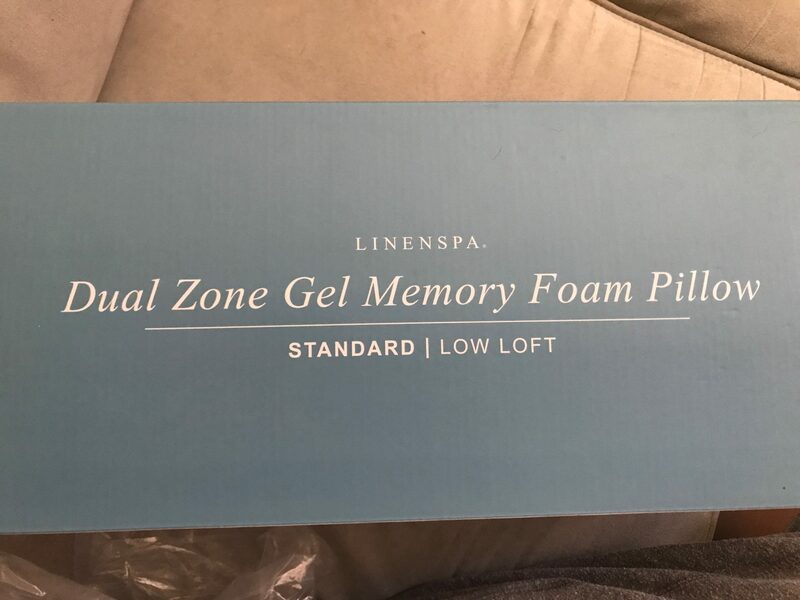 What Size is the Linenspa Dual Zone Gel Memory Foam Pillow? Linenspa makes this pillow in one size, standard. Standard is 16 x 25. Would we recommend the Linenspa Dual Zone Gel Memory Foam Pillow? Yes, we actually recommend all of Linenspa’s products that we have tried. From mattresses, mattress protectors, to pillows, all products have exceeded our expectations with quality at highly affordable prices. Check out the Linenspa Dual Zone Gel Memory Foam Pillow here…..